weeks to identify the slow-growing MOTT. In vitro sensitivities may not be available for at least another week. MOTT infections have become more frequently recognized, especially in immunocompromised patients. Contemporary culture and diagnostic techniques have led to the recognition of several new species of nonpulmonary infections within the immunocompetent population. Fifteen percent of all mycobacterial infections and an even larger percentage of extrapulmonary mycobacterial infections are of the "atypical" variety. They are most commonly encountered in tropical and subtropical areas. At our institution, we saw 28 extrapulmonary MOTT infections over the last 4 years compared with nine M. tuberculosis extrapulmonary infections over the same period. Because the hand is the major manipulator of the environment, the hand is more likely to be inoculated with saprophytic bacteria. Infection occurs by either cutaneous or deep (noncutaneous) pathways. Cutaneous infections are far more common. Abrasions on the extremities involving an aquatic environment (swimming pools, aquaria, fishing) are the prototypical cases. These infections can spread proximally with multiple abscesses resembling sporotrichosis. Deep infections in the adult patient present as a spectrum of disease progressing from tenosynovitis to septic arthritis. All species of MOTT can be acquired from prior trauma except Mycobacterium kansasii, which usually shows no clear mode of inoculation. Mycobacterium marinum is the most common cause of MOTT infections of the upper extremity followed in frequency by M. kansasii. Symptoms appear slowly and are only occasionally characterized by typical inflammatory criteria. A thorough remote and recent history is essential in raising suspicion of a MOTT infection, because MOTT infections are indolent and may present long after inoculation. A zigzag incision was made over the volar aspect of the wrist. The median nerve was identified and carefully protected. A large mass was present about the flexor tendons. The mass was opened and contained multiple rice bodies (Fig. 11—3). A frozen section biopsy demonstrated the presence of granulomatous disease. Figure 11—4. The thumb and little finger flexor sheaths, respectively, represent the distal extent of the radial and ulnar bursae. The potential spaces may communicate at the distal forearm level through Parona's space volar to the pronator quadratus muscle. 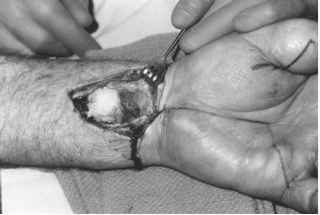 Inoculation at any site within this space may produce a horseshoe abscess involving the thumb and little finger flexor tendons sheaths as well as a deep compartment infection ofthe level of the distal forearm. This evidence of granulomatous tenosynovitis indicated the need for flexor tenosyn-ovectomy. Complete tenosynovectomy was performed with removal of diseased tissue from about all flexor tendons. Thumb and little finger distal flexor tenosynovectomies were performed. Findings demonstrated a horseshoe abscess pattern of involvement of the radial and ulnar bursae through Parona's space (Fig. 11—4). The "eightpack" recently emphasized by Patel provides a simple pattern that should be followed when collecting a specimen for further diagnosis. The "eight pack" consist of smears (Gram stain, acid-fast stain, and fungal KOH stain) and cultures (aerobic, anaerobic, acidfast at 37°C, acid fast at 30°C, and fungal). An infectious disease specialist consultation was obtained. 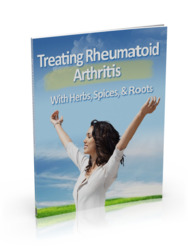 The patient was placed on a planned 30-day course of rifampin and ethambutol. He developed a rash thought to be secondary to the ethambutol, and this medication was discontinued after 2 weeks. His wounds continued to improve without further evidence of infection, and hand function improved with a formal rehabilitation program. Multidrug therapy is acceptable for initial treatment of less severe cases of granulomatous disease. The efficacy of antibiotic management in MOTT infections has not been clearly established. Most MOTT infections are sensitive, at least in vitro, to antimycobacterials, but this may not translate into an in vivo response. We believe thorough surgical debridement should be the primary therapy for all known deep granulomatous infections. M. tuberculosis often responds to chemotherapy alone, but once a diagnosis of a MOTT infection is confirmed, treatment should be modified to the specific species. In the case of most MOTT infections, surgical debridement is the primary means of effecting a cure, but adjunctive treatment with antibiotics is considered appropriate. These drugs have multiple side effects and are best managed by an infectious disease specialist familiar with their use. Failure to make the correct diagnosis and inadequate surgical debridement are significant problems in MOTT infections. The immunocompetence of the patient should be established, and infectious disease consultation should be obtained. Floyd WE III, Foulkes GD. Tuberculous, mycotic, and granulomatous disease. In: Peimer CA, ed. Surgery of the Hand and Upper Extremity. 1st ed. New York: McGraw-Hill; 1996:1766. Foulkes GD, Floyd JCP, Stephens JL. Flexor tenosynovitis due to Mycobacterium asiaticum. 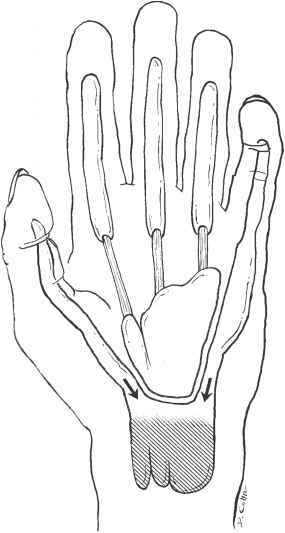 J Hand Surg [Am] 1998;23A:756. Gunther SF, Elliott RC, Brand RL, Adams JP. Experience with atypical mycobacterial infection in the deep structures of the hand. J Hand Surg [Am] 1977;2:90-96. Gunther SF, Levy CS. Mycobacterial infections. Hand Clin 1989;5:591-598. Hurst LC, Amadio PC, Badalamente MA, et al. Mycobacterium marinum infections of the hand. J Hand Surg [Am] 1987;12A:428-435. Kelly PJ, Karlson AG, Weed LA, Lipscomb PR. Infections of synovial tissues by Mycobacteria other than tuberculosis. 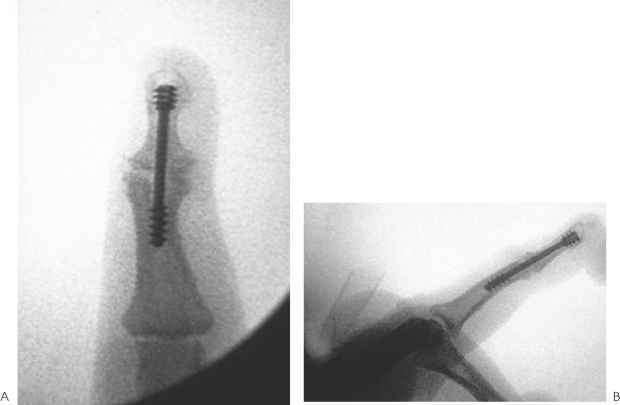 J Bone Joint Surg Am 1967;49A:1521-1530. Leung PC. Tuberculosis of the hand. Hand 1978;10:285-291. Patel MR. Chronic infections. In: Green DP, ed. Greens Operative Hand Surgery, 4th ed. Philadelphia: Churchill Livingstone; 1999:1048-1050. Runyon EH. Anonymous mycobacteria in pulmonary disease. Med Clin North Am 1959;43:273-290. Timpe A, Runyon EH. The relationship of "atypical" acid-fast bacteria to human disease. A preliminary report. J Lab Clin Med 1954;44:202-209. Visuthikkosol V, Aung PS, Navykarn T, Nitiyanant P. Tuberculosis infections of the hand and wrist. J Med Assoc Thai 1992;75:45. Wolinsky E. Mycobacteria. In: Davis BD, Dulbecco R, Eisen HH, Ginsberg HS, eds. Microbiology. 3rd ed. Philadelphia: Harper & Row; 1980:724-742. Wyngaarden JB, Smith LH, Bennett JC. Cecil Textbook of Medicine. 19th ed. Philadelphia: WB Saunders; 1992. Where is the parona space of the hand?